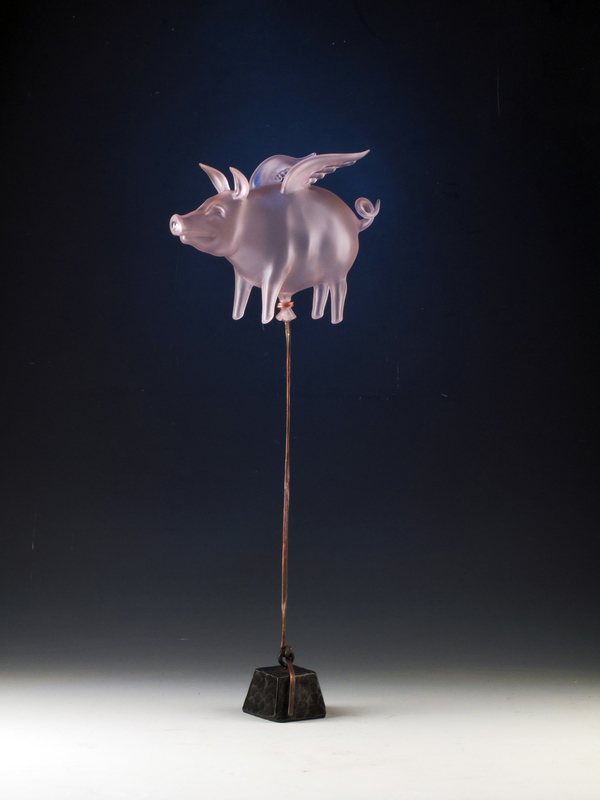 I was first introduced to the world of flameworking by my good friend, Bob Heise (aka Minnesota Bob) in 1998. There weren't but a handful of flameworkers in our city at the time, so being given that opportunity at such a burgeoning point will be something that I'll always be thankful for. Though, with that said, at times I do wish I had chosen a career in something a little less temperamental. You see, glassblowing can be a really frustrating medium. There are countless hours lost to broken glass, and one could say that you have to be a bit of a masochist to be in the profession. However, there’s obviously something addictive about it, because even after years of sweat and exasperation, I still go back for more each day. I love getting lost in the creative process, and striving for that next great piece. The thrill never gets old of thwarting the glass’ desire to fall apart, and it’s always a victory when a piece comes together. There is nothing better than the excitement you feel going to work the next day and opening the kiln to see how yesterday's creation looks. It's like christmas everyday.....except when the pieces are broken...then it's shear heartache. 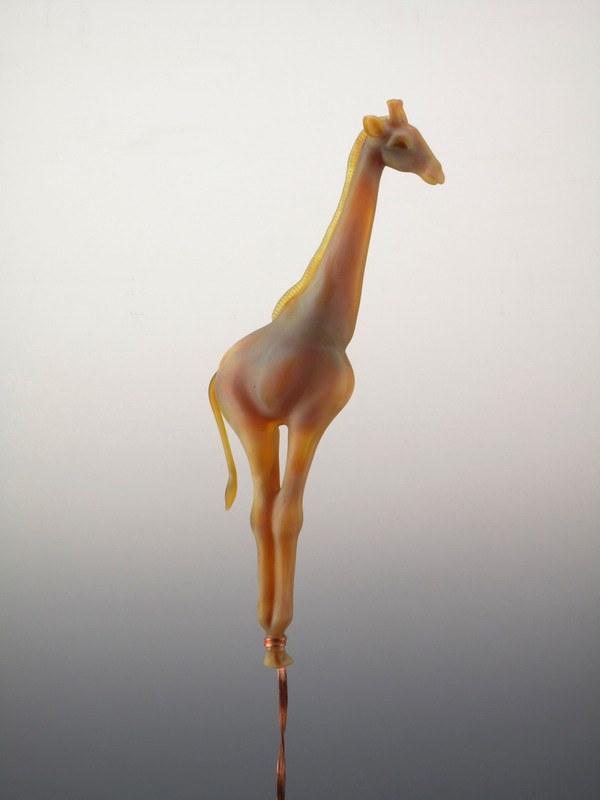 Sculpted in meticulous detail and bright colors, my animal balloon series depicts visually strong animals made fragile by delicately balancing, or floating above wire. 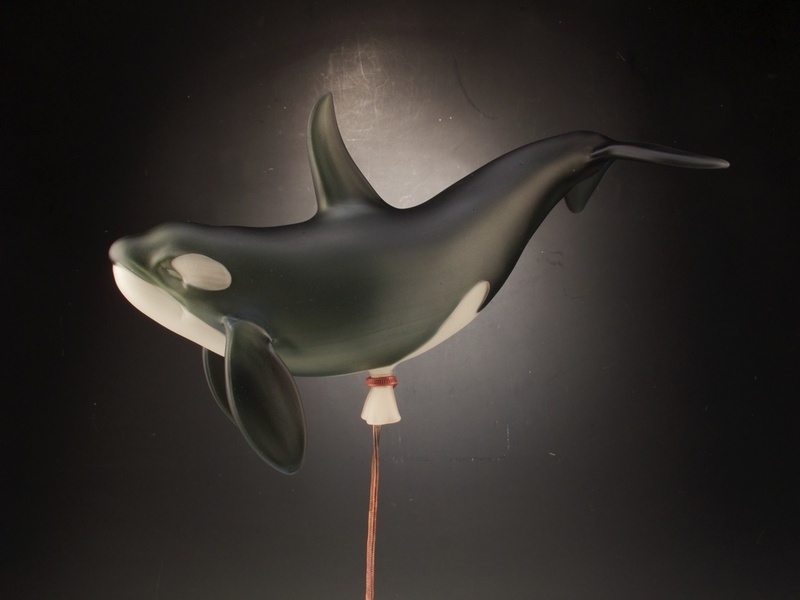 I’ve created numerous animals from hollow glass including both African and Asian elephants, black and white rhinos, giraffes, hippos, sharks, and whales just to name a few. Hours of intensive work result in deceptively simple animal balloons. They are then sandblasted for a frosted finish, strung up on copper wire with hand-forged ridges emulating real ribbon, and tethered to small weights. The flexibility of the wire enhances the illusion of real balloons slightly swaying back and forth. Balloons, to me, suggest celebration, children and wonder. The iconic animals that I pick appeal to those child-like sensibilities as well. Most of us grow up with a favorite animal, and the idea of turning ones favorite animal into a balloon seems a fitting marriage that is hard to dislike. 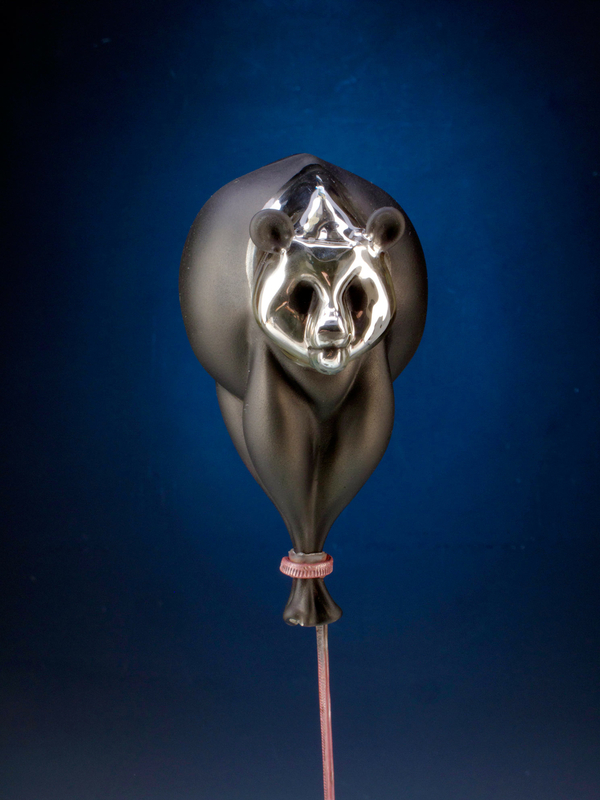 These animal balloons also metaphorically speak to their fragile lives, many of them endangered. Some of the balloons, such as the rhino, have their legs bound alluding to the precarious environments created for them by humans. 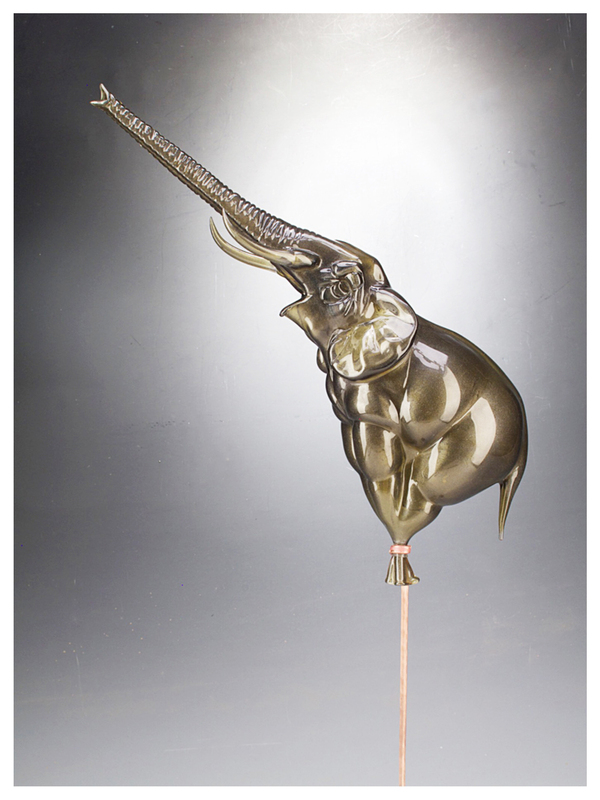 I think of these animal balloons as a mixture of playfulness and harsh reality – homage to not only the iconic beauty of these majestic animals, but also as tribute to the many endangered species that may not survive.